A love story in the city of dreams . . . Blonde Betty Elms (Naomi Watts) has only just arrived in Hollywood to become a movie star when she meets an enigmatic brunette with amnesia (Laura Harring). Meanwhile, as the two set off to solve the second woman’s identity, filmmaker Adam Kesher (Justin Theroux) runs into ominous trouble while casting his latest project. David Lynch’s seductive and scary vision of Los Angeles’s dream factory is one of the true masterpieces of the new millennium, a tale of love, jealousy, and revenge like no other. 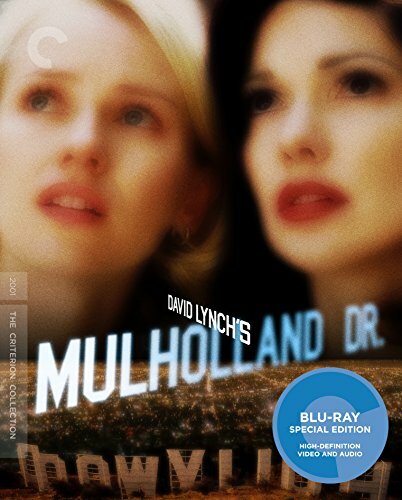 BLU-RAY SPECIAL EDITION FEATURES • New, restored 4K digital transfer, supervised by director David Lynch and director of photography Peter Deming, with 5.1 surround DTS-HD Master Audio soundtrack • New interviews with Lynch, Deming, actors Naomi Watts and Laura Harring, composer Angelo Badalamenti, and casting director Johanna Ray • Interviews with Lynch and cast members, along with other footage from the film’s set • Trailer • PLUS: A booklet featuring an interview with Lynch from filmmaker and writer Chris Rodley’s 2005 edition of the book Lynch on Lynch • More!